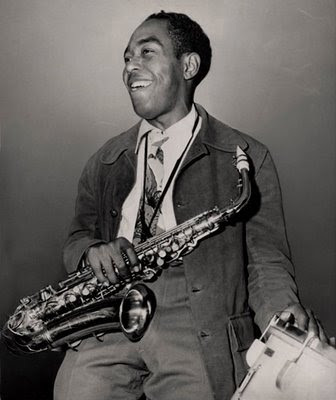 Charlie Parker would've been 88 today. This is his first session as a featured sideman. 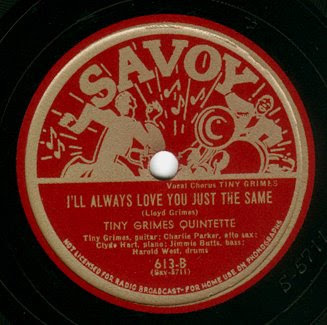 Guitarist Tiny Grimes put together this quintet of 52nd Street players for a Savoy date that was to feature him as a singer. Two vocal sides and two instrumentals. 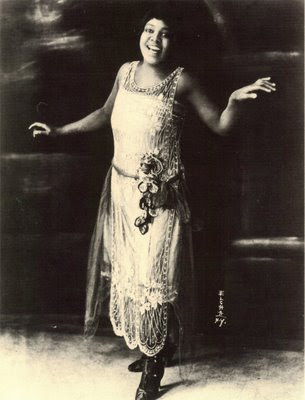 Bird had just arrived in New York after jumping ship from Billy Eckstine's Big Band. by Tiny Grimes Quintet, 1944. In case any of you out there misconstrued my disparaging remarks about the DNC yesterday, I'd like to clarify my position on the matter. 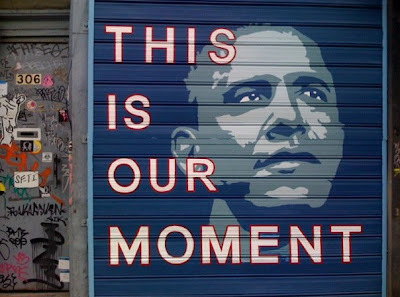 This blog supports Barack Obama and is genuinely excited by the Democratic ticket this year. Folks, we have a candidate and tonite's speech was electrifying. Vote. Tired of the goings on in Denver? Do you feel like you're watching an MTV sponsored high school pep rally? Do you feel like kicking a hole in your TV everytime you hear the pundits on CNN talk about the convention? 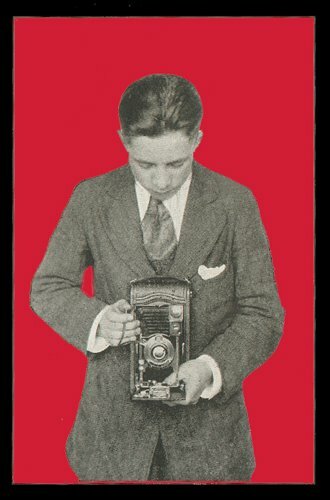 Do you frequently ask yourself "Is this the best we can do?" Are you mad as hell and can't take it anymore? If you answered yes to one or more of these questions, then you may have a soul. In which case, I direct you to immediately listen to today's musical selections. 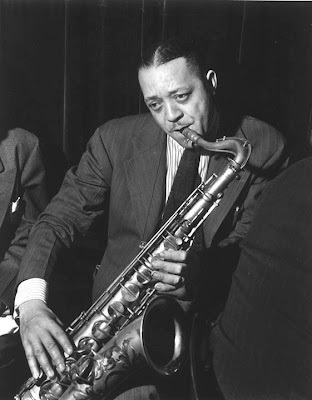 Lester Young, AKA "The President" or "Pres" or "Prez" would have been 99 years old today. Below we have his first recordings. This is a small group ensemble made up of the core of the Count Basie band. 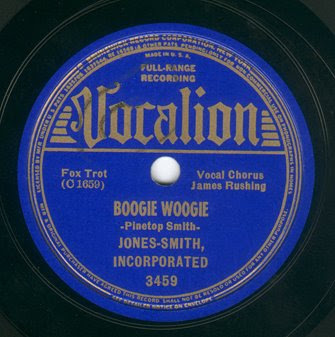 They recorded these under the moniker Jones-Smith Incorporated with John Hammond in 1936 for Vocalion. 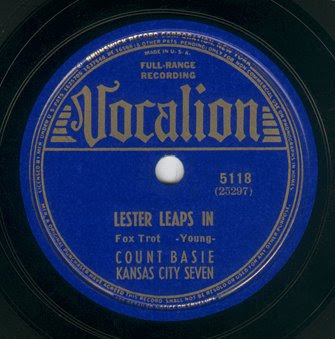 Lester's legend had been growing for years before these recordings were made, and Hammond after hearing a radio broadcast late one night in Chicago, coming from a bandstand hookup at The Reno Club in Kansas City, sent word to Basie that he wanted to record them. Unfortunately, before he could get there, Dave Kapp, pretending to be acting on Hammond's behalf signed them to record 24 sides with Decca. 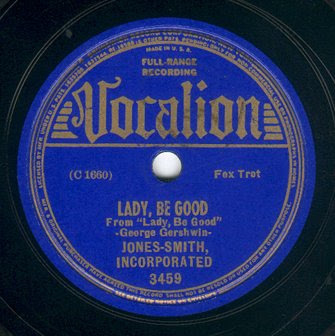 So, the pseudonym Jones-Smith Inc. was born out of contractual obligations, but Hammond recorded them first. The lyical depth and phrasing of Lester's solos on "Lady Be Good" and "Shoeshine Boy" are landmarks in Jazz and an early look at his genius as an improviser and soloist in a small band. 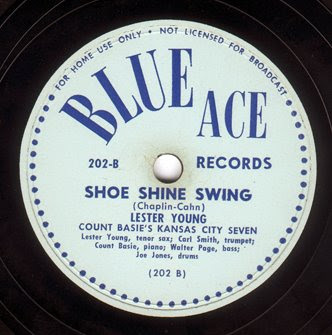 In addition, I've included Lester's signature tune, "Lester Leaps In" and the musical conversation between him and trombonist Dickie Wells, "Dickies Dream". 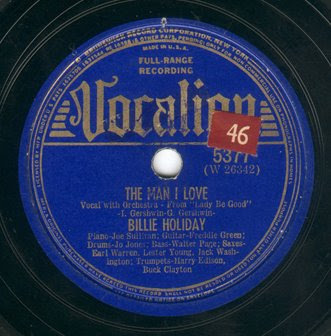 And if that's not enough, two recordings with Billie Holiday from 1939, Lester takes a solo on "The Man I Love" that should move you if you have a pulse. 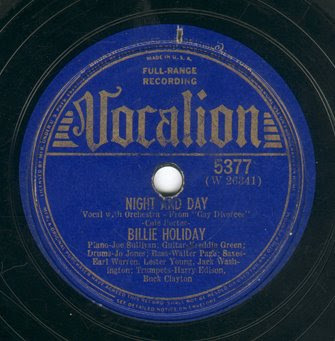 The flip side, Cole Porter's "Night and Day" doesn't have a solo but is so sublimely beautiful that it would criminal not to include it here. It's time to get the swing states swingin'. You dig? 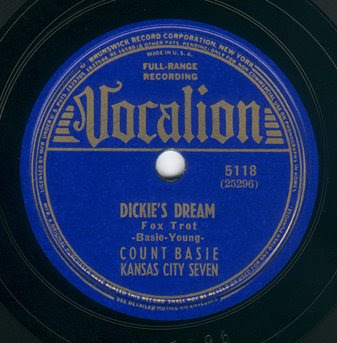 by Count Basie and his Orchestra, 1939. For more of this, tune into WKCR at 89.9 on the FM dial if you are in New York City - or streaming on the web if you are not - and listen to Phil Schaap and his colleagues who are right now in the middle of the annual Lester Young - Charlie Parker Birthday Broadcast - Aug-27-29. Back in the early days of this blog, I did a post on Harold Arlen and his contribution to the American Songbook. 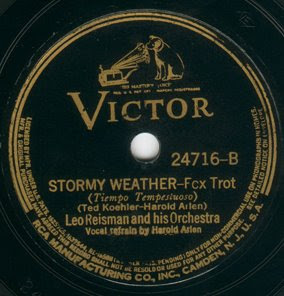 In it, I included his version of "Stormy Weather" with Leo Reisman's Orchestra as well as one of my favorites by The Reigning Sound. 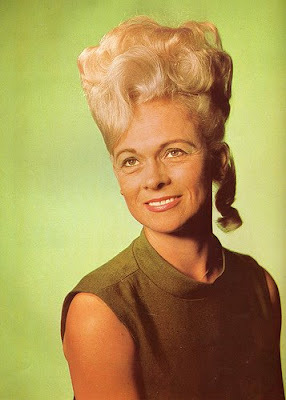 After I posted it somebody pointed me to a link at the WFMU blog that contained a zip file with another 70+ versions. 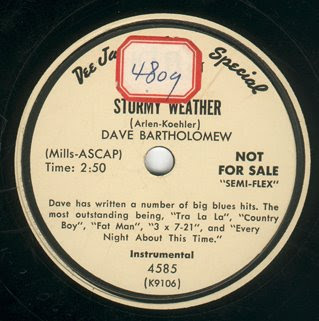 Here's a few of those as well as an unusually jaunty and swingin' version by Dave Bartholomew that I picked up recently. There must be hundreds of versions of this song. A standard is a standard and there's a reason for this. Anyone can get behind it and make it their own. While I was listening to the great Lena Horne version, I remembered one of my favorite episodes of Sanford and Son, where Fred bum rushes Lena's dressing room on an NBC studio tour. 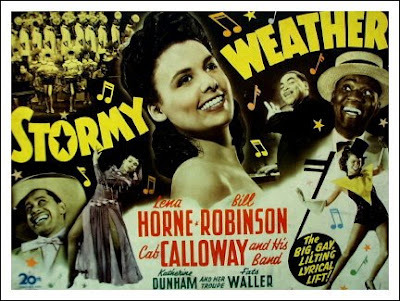 In their dressing room conversation Fred tells her "I saw your movie Stormy Weather thirty-eight times" to which she replies, "You mean to tell me you paid to see Stormy Weather thirty-eight times?" Fred comes back and says "No, I only paid once. I went in on a Saturday and came out on a Wednesday evening." Hopefully your Monday isn't a stormy one. by Harold Arlen with Leo Reisman's Orchestra, 1933.
by Duke Ellington Orchestra, 1953. "When I first heard Elvis's voice, I just knew that I wasn't going to work for anybody, and nobody was going to be my boss ... Hearing him for the first time was like busting out of jail. I thank God for Elvis Presley." "My mouth feels like Bob Dylan's been sleeping in it." Today is the thirty-first anniversary of the King's rise from his throne to brighter pastures. 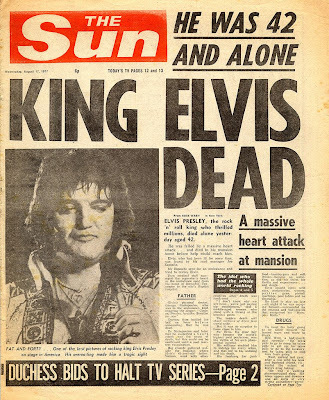 Unfortunately, it was (allegedly) the proverbial porcelain throne that Elvis was crowning when he left this world. He had become a bloated parody of himself, living in insular isolation, and protected from the outside world. As I was compiling this post, of Elvis and Dylan, I tried to think of what these two artists - radically different - shared in common. They shared a lot actually. The two most influential singular performers to come along in the twentieth century, they both had to protect themselves from the hysteria of a hyper-fame. Elvis as the King, and Dylan as "the voice of a generation." What a burden it must been for them. Dylan was befuddled, disgusted, and probably genuinely frightened by the pressures foisted on him by the media and rabid fans. Enough so, that he had to retreat from public eye while still in his twenties. 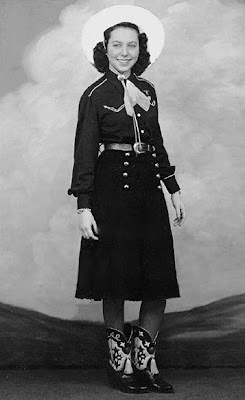 Elvis had a team of protectors - Colonel Tom Parker and later The Memphis Mafia. 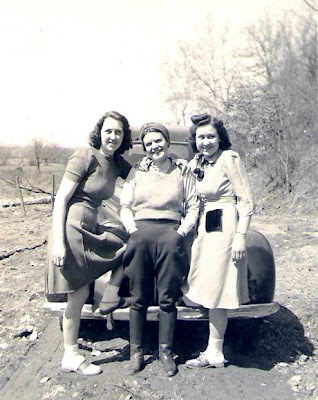 Elvis died relatively young. Bob still takes his show in the road a couple hundred times a year. I guess Elvis would be doing the same had he survived. Maybe not, but he didn't survive. It's been suggested that they shared a mutual admiration for one another. Dylan certainly admired Elvis, but more than likely Elvis had more disdain and envy for Dylan. Dylan wrote "Went to See The Gypsy" about going to meet Elvis at a hotel in Minnesota. Ironically, today and for the last few decades, Dylan is the Gypsy. The song is probably fictional. Either way, it doesn't matter. 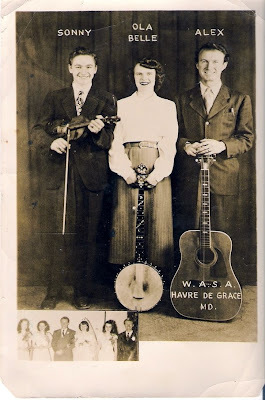 They made these recordings, and we shall listen to them.